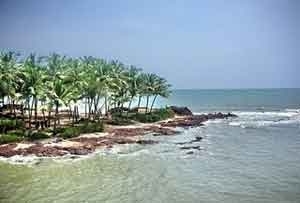 The Thangasseri beach is yet another very beautiful beach in Kerala, God's own Country. 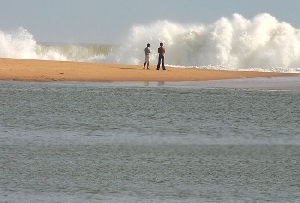 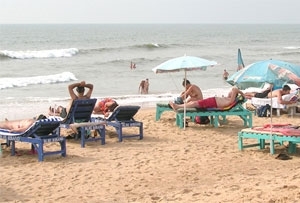 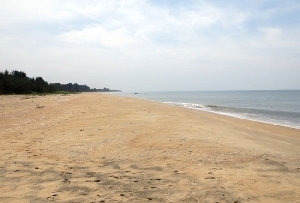 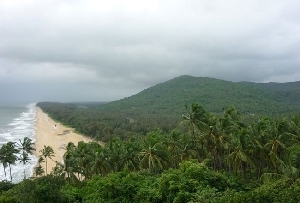 The Thangasseri beach stretches along 3km. 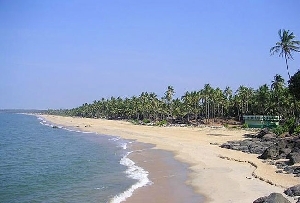 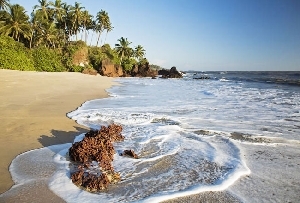 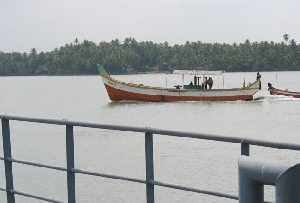 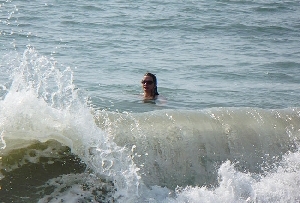 The Thangasseri beach lies at a distance of 5 km from Kollam town. 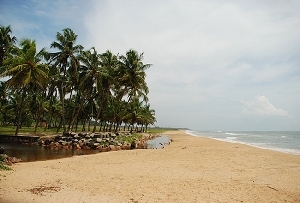 The Thangasseri Light house lying on the beach was first used in 1902. 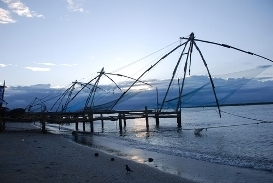 This 144 ft tall structure was used to warn the seafarers about the dangerous reefs in the Thangasseri coastline. 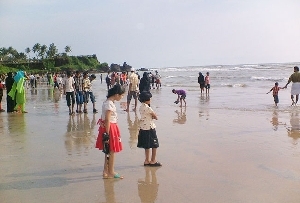 Nowadays it is considered to be a tourist's attraction by many. 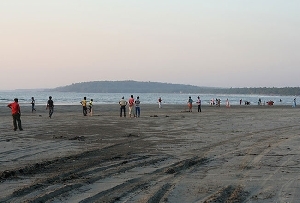 It is open to the public everyday from 15-30 hrs to 17-30 hrs. 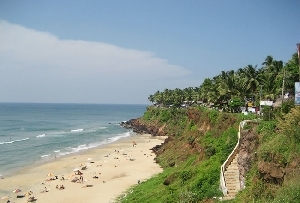 Thangasseri is a destination once favored by the Portuguese, Dutch and the British rulers. 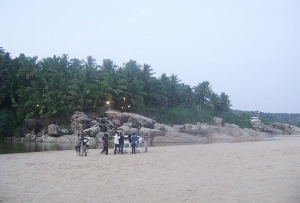 This place has its own history. 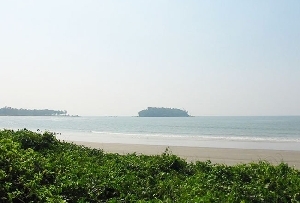 The walls of the forts stand erect as a witness to the long lost glory. 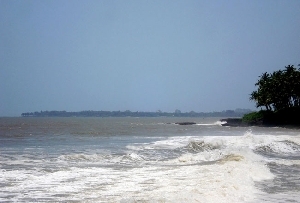 Other places of interest are the churches built in the 18th century. 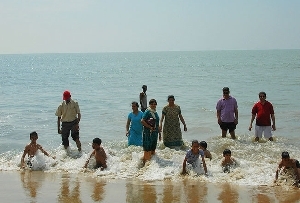 The Thangasseri beach stands as a silent spectator of the golden past and the glorious present. 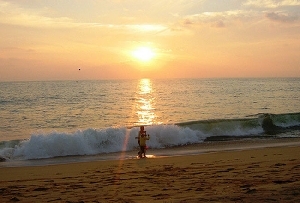 This beach envisions the glory of life and ages. 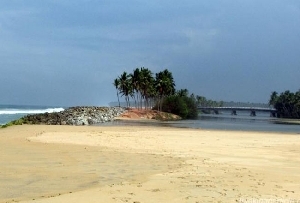 The Thangasseri beach is one of the most charming beaches in Kerala which is serene in its look but stunning in its attractive elements. 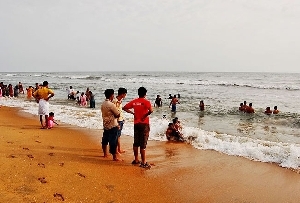 Thangasseri beach stands out from other beaches in its glory and natural beauty that attracts the tourists. 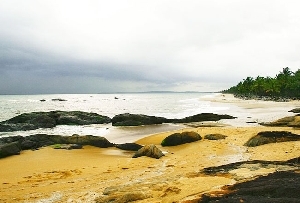 It is a dream destination where you will find peace amidst sand, shores and sea.